I think it is fairly obvious to any computer professional or enthusiast that sites like Stack Overflow and the whole Stack Exchange family are as much a part of the vocation as manuals used to be. I personally often find myself referred to Stack Overflow, Server Fault, Super User, Unix & Linux. But these nerd sites aren’t just limited to computer nerd topics — the majority of my contributions have been to English Language & Usage. These sites are very useful and for known unknowns where you just need to have someone spell out the exact syntax or filter out the 800 options you do not need, they can be great. But there are some serious problems with this compendium of knowledge. A huge problem that weird people like me have when looking for advice about a weird problem is that the problem is marginalized as pointless. For example, if I want to know how can I control some piece of hardware using Linux, there will be that exact question but the responders will insist that the solution is to simply use Windows. Here’s an exact little example I was able to quickly find. But this kind of subtle denying the validity of the question is huge. As far as I’m concerned all answers like this might as well be, "Change your lifestyle so you don’t need to use computers!" TIFI! Often I feel like this problem is exacerbated by some kind of broken windows problem where bad moderation begets more bad moderation. Or maybe bandwagon effect, something like that, where popular things are thereby made more popular yet. Another problem is one of focus. Are these sites to answer various questions from the audience? Or to be the Wikipedia-like repository of all questions — answered properly — one could possibly ask about a topic? It’s close to being both but on the edges where it’s neither it can be very frustrating. Another absurdity is that when The Search Engine sips Stack Exchange sites, it becomes drunk. I regularly go follow SE links on the faint hope that the lone search result will keep the hunt alive only to find that there are actually hundreds of results, many quite on target, but the search results failed to notice. Often a 2011 answer is enshrined as the go to link (I guess because everyone has been clicking on it) despite there being newer better treatments. And then there is the related frustrating problem of the search results highlighting an answer that is actually closed as a duplicate. Or closed as a dumb question which is really frustrating when that’s your question! Here is an illustrative screen shot from this question that I was directed to this morning. It shows this problem of a question being deprecated in favor of another question that already solved the problem. In theory this is fine, but in this case, as the OP notes, "This question is not a duplicate of similar questions…" I can affirm this as it was also my subtle spin on the more prosaic related question. Not only was this incorrectly marked as a duplicate by someone, it was , "marked as duplicate by user177800, Sotirios Delimanolis, TylerH, Paul Roub, Machavity Feb 20 '17 at 19:58". Jeez guys. One of you being stupid is one thing, but dang. 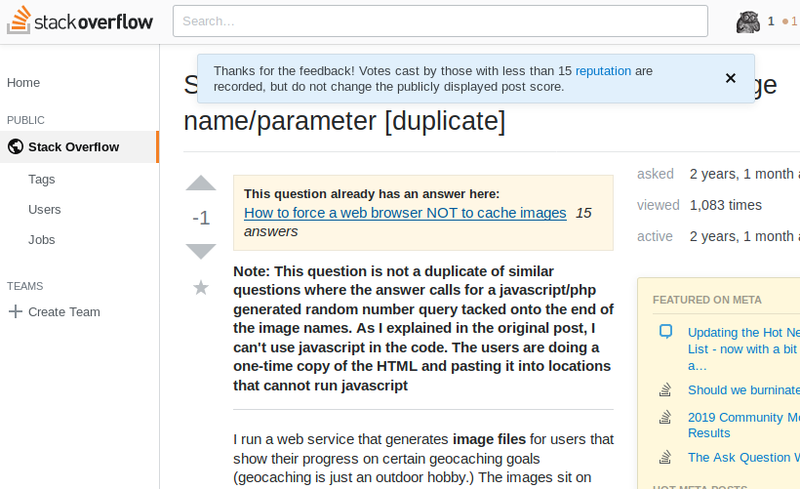 It also shows the biggest problem with the Stack Exchange network, the reputation farce. 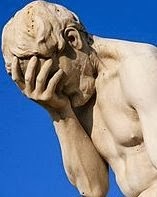 Why do I never contribute to the computer nerd questions (despite having a mild on-line willingness to be helpful)? I can’t! It’s pretty much impossible for me to do anything because my "reputation" is low. Note the 1s in the upper right of the image for my reputation and "bronze badges" (whatever that means) respectively. The suggested way to overcome that obstacle is to somehow participate but because my reputation is low I can’t quite do that. Catch-22. It’s pretty sad that I can’t even publicly save this completely legitimate question which is well written and properly explained from a negative rating. Oh well. Apparently 998 visitors out of 1000 just get what they can out of these sites and move along without playing the unfun game of contributing. The purpose of this post is just to explain why I’m one of those people too. But if you think Stack Exchange is useful — and I do — imagine if another 2 out of 1000 people would like to contribute high quality knowledge but can’t. The site could be twice as helpful. That seems like a lot of wasted potential.